Single sided vinyl stand for display, storage and handling. 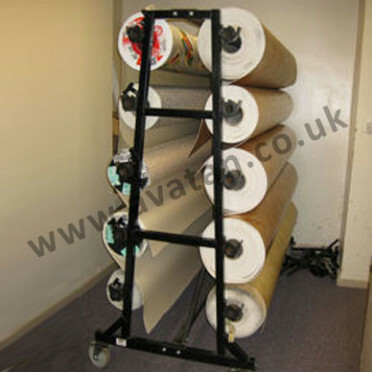 This versatile storage rack is ideal for storage or point of sale and display of vinyl and flooring rolls. Size: 660mm deep x 2160mm high x variable width. 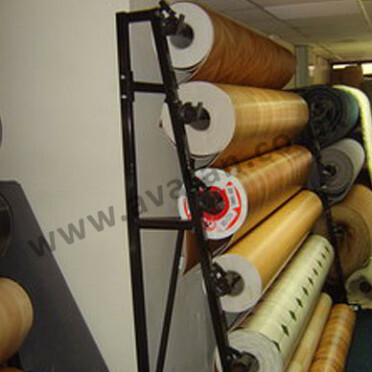 6 rolls per stand, 2m, 3m and 4m roll options. May be mounted on castors for mobile display rack option. Double sided stands and carpet stands also available.